Here's a picture sent in by our ol' friend, Nick Zachariasen. He saw this truck parked at the Clark Pump N' Pak (I'll refrain from making a comment about the business name) in Oacoma, SD. 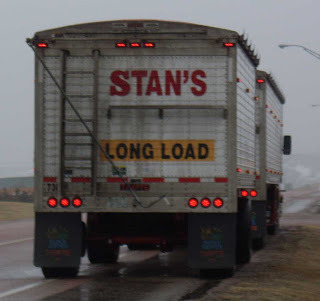 Say it out loud, "Stan's long load." Doesn't that brighten up your Saturday?